Good output characteristic, stable arcing performance from the small current (DC 4 Amps / AC 10 Amps) to rated current welding various thicknesses of plates, exspecially suitable for thin plates. WIM ITG 300P and 500P include pulse width control which enable any user to weld aluminium easity. High quality welding, constant penetration and stable welding bead can be obtained by good arc concentration. 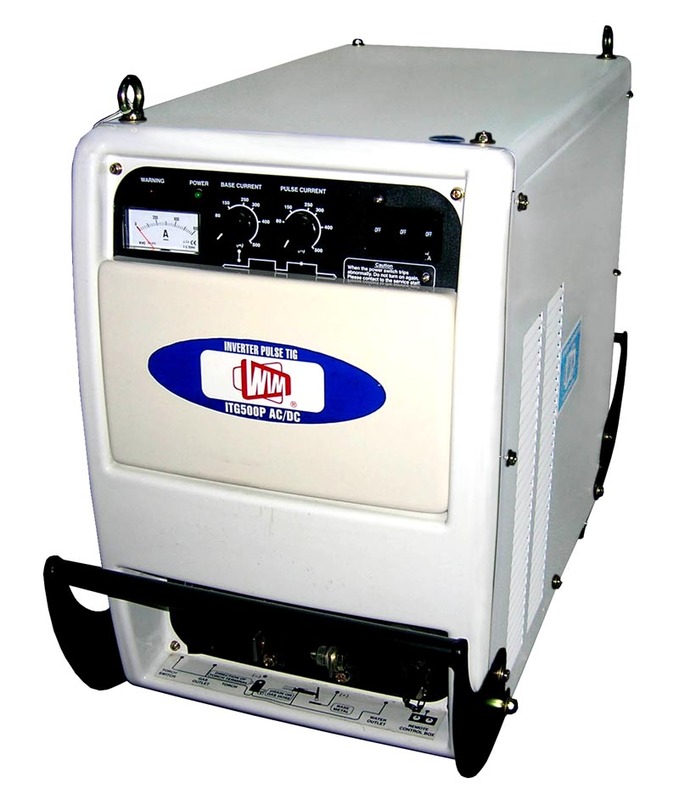 Very easy to operate vertical welding, TIG Filler welding operation, tack welding for thin plate and repeated short lenght welding, etc... by heat capacity control of pulse current.